Miss Fancybelle: Giveaway Starting Tomorrow! Shop Notes 3/1/11: End of Winter Sale! "This handbag is so sweet with three coordinating hand-knit flowers accented with vintage button centers. It's the perfect size for toddlers and little girls who want to look just like Mommy, and a great touch with that special occasion dress! The Isabella has room inside for all of your little one's treasures. It has a drawstring top that crisscrosses the handles so that when it is picked up, it is easily shut. The Isabella purse is knit with two colors of pink acrylic yarn at the same time, for a double pink effect. 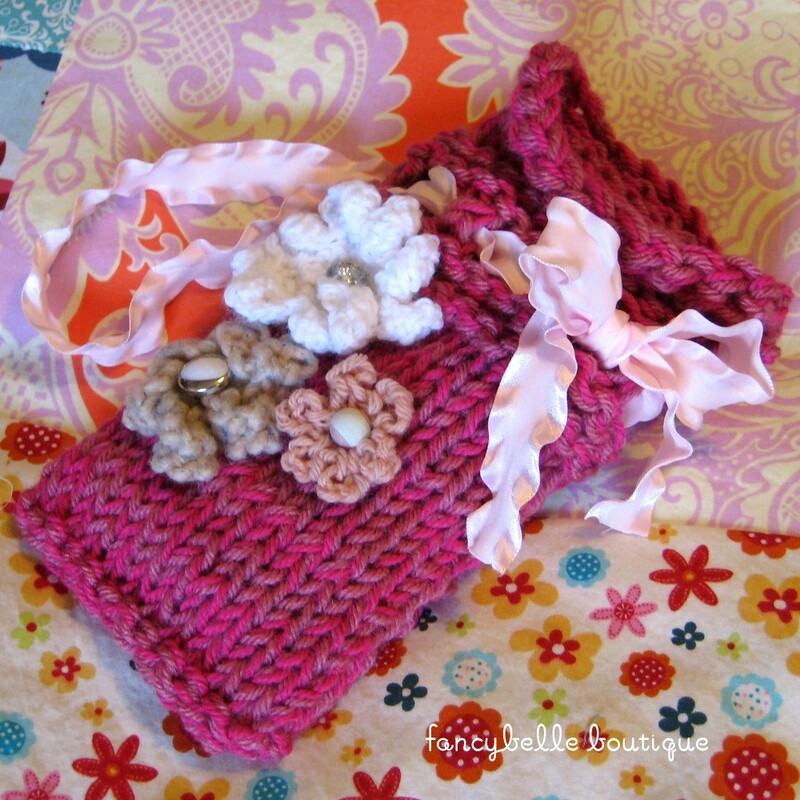 The flowers on this bag are made with white and pink acrylic baby yarn and oatmeal tweed wool yarn. 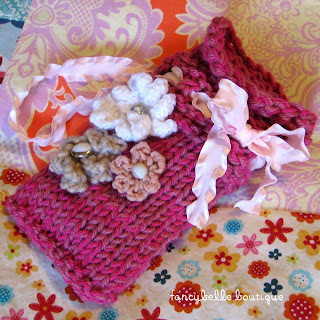 The handle is made from a beautiful ballet pink double ruffle ribbon. The Isabella measures approximately 5" across the bottom and 9" tall. Spot clean as necessary, hand wash in cold water and lay flat to dry."